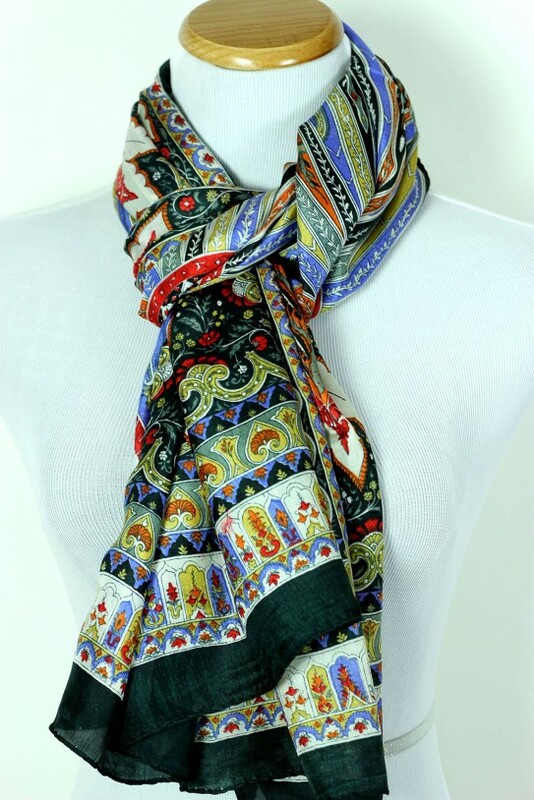 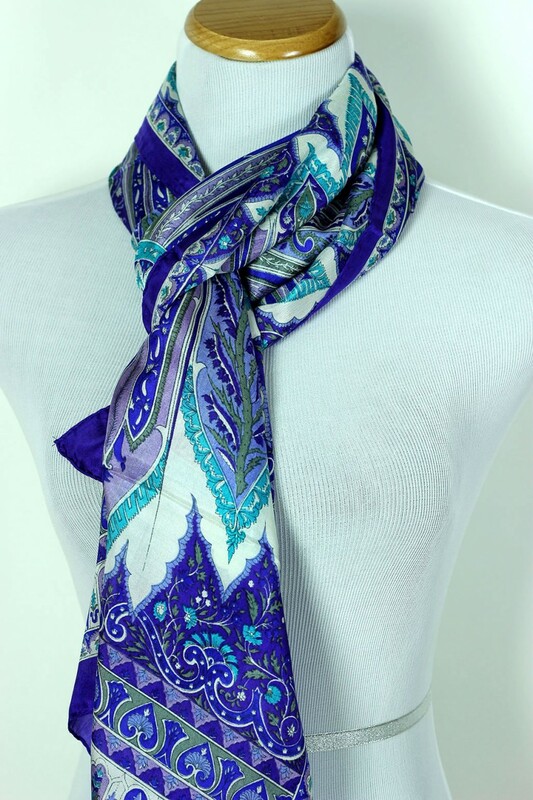 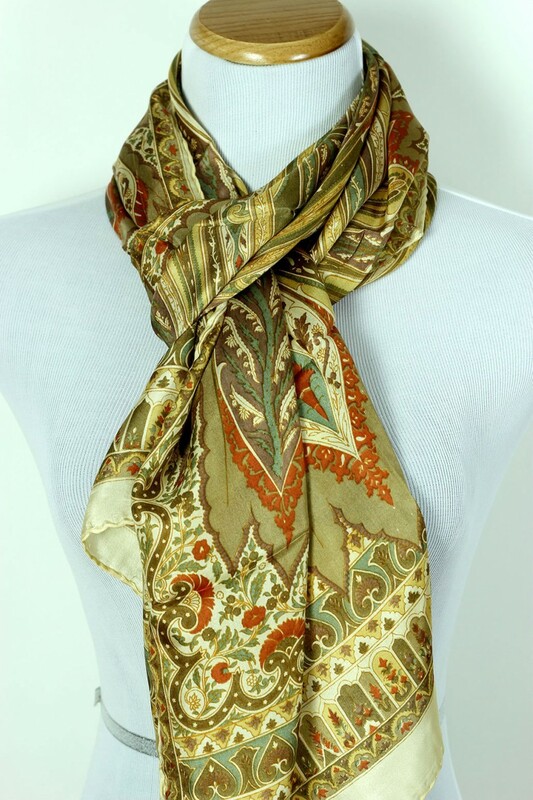 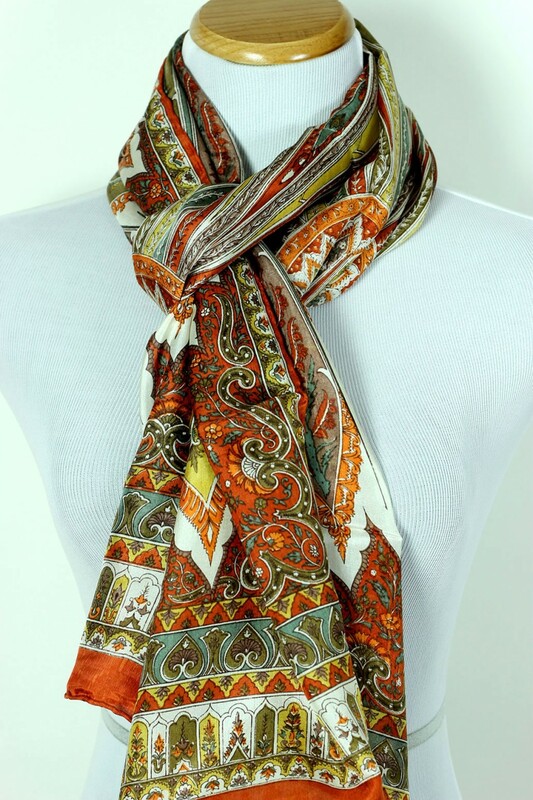 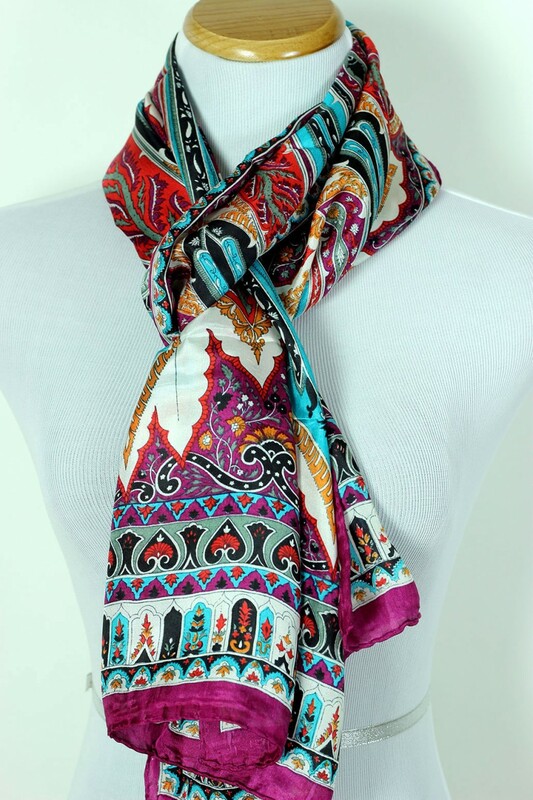 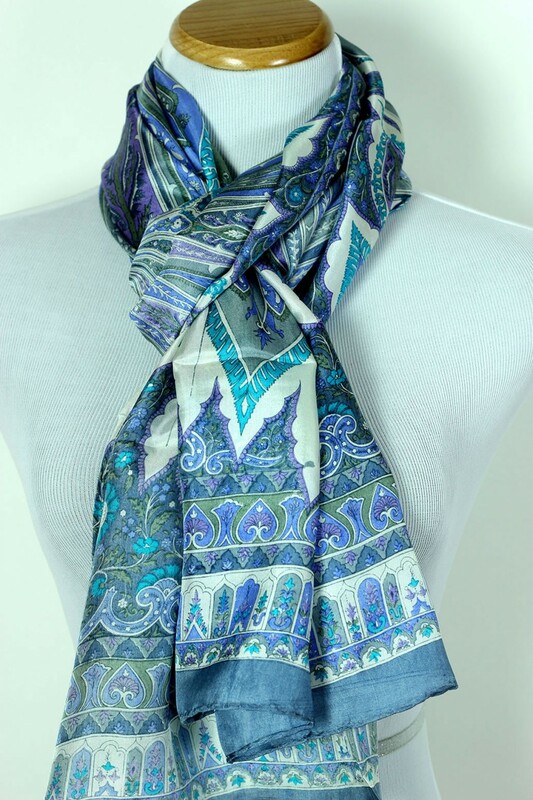 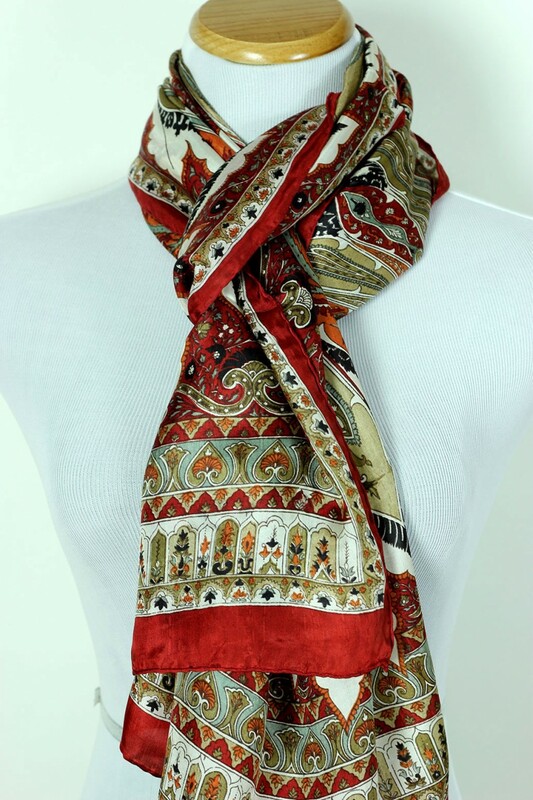 Luxurious and elegant, this exotic silk scarf features a gorgeous multi-color design. 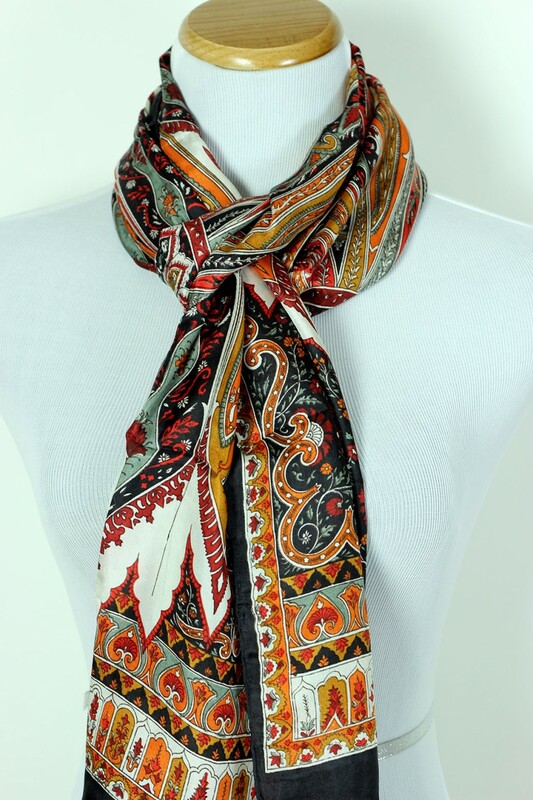 Dimensions: Approximately: 62” (L) X 19” (W). 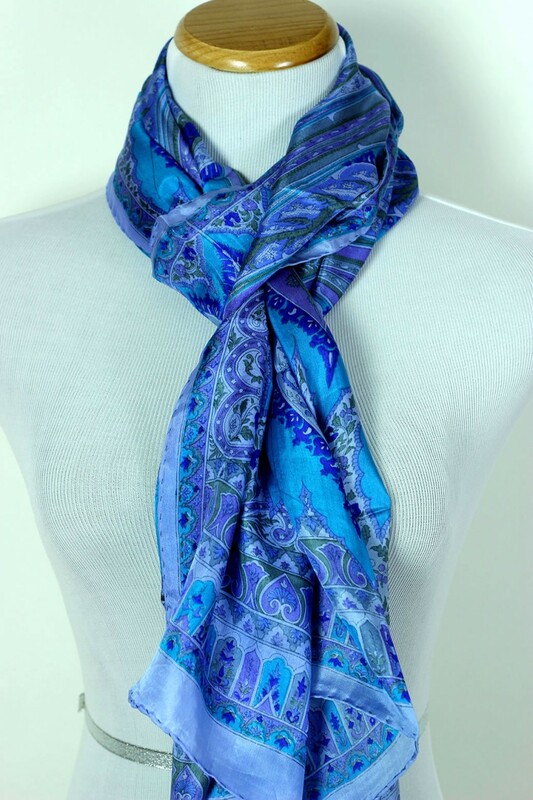 Our vibrant silk scarf is a wonderful addition to enhance your formal or elegant outfit to achieve a casual or trendy look. 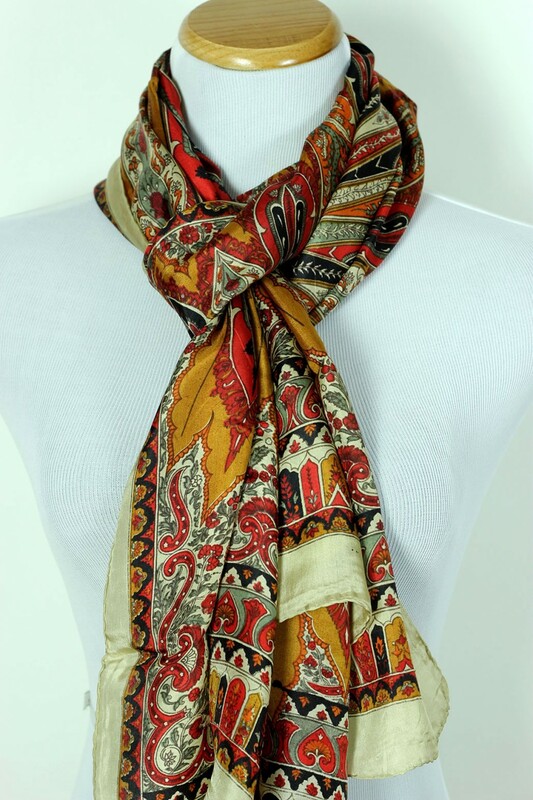 Crafted in India with fine quality silk, this stunning scarf is available in 10 fashionable colors.